Flaunt a chic look by wearing this pair of shorts from Desigual. They have been made of a fine quality fabric that will provide a soft touch against your skin. 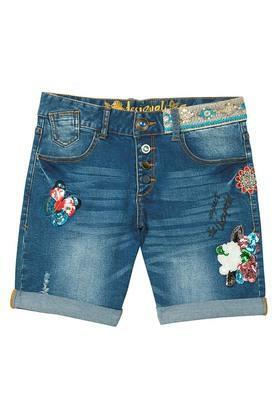 They also features an embellished pattern that renders their fashionable design. The waistband with belt loops further ensures a proper fit. 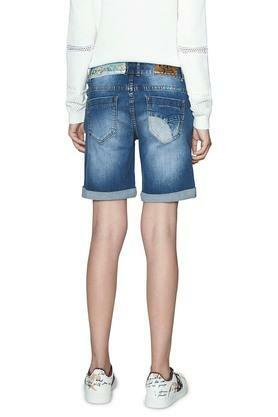 This pair of shorts will be an ideal pick for you to wear on casual occasions. 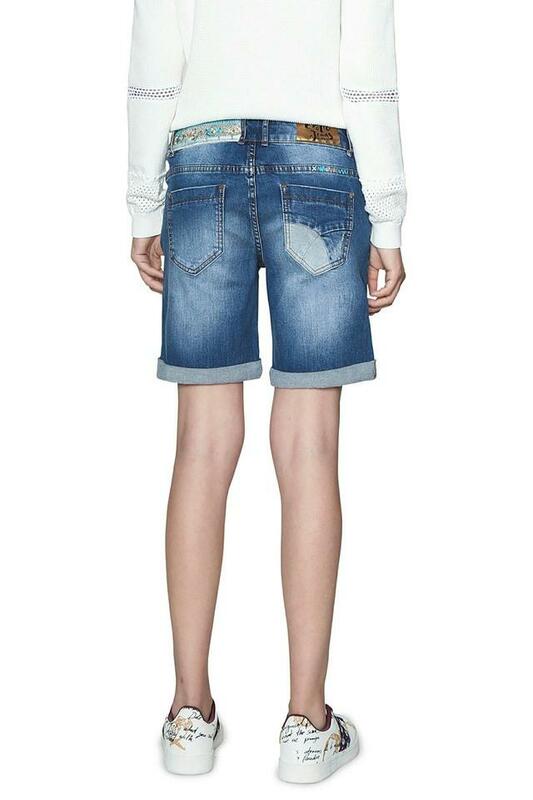 You can club them with a top and a pair of wedge sandals to complete your look.